Companies can really count themselves lucky when Apple gives them a mention on stage during the opening keynote of WWDC. Not only is their product being pushed to thousands of developers in the room who are eager to see the progression of a platform, but the live stream is also consumed on a truly global scale from technology fans around the world. 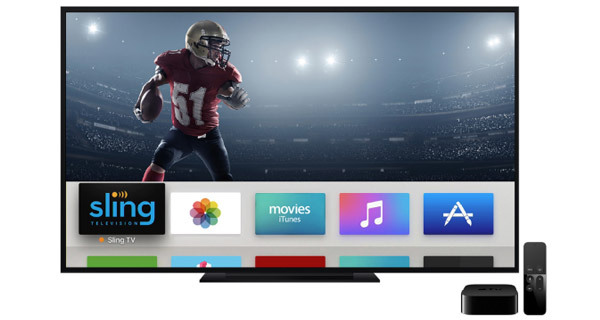 During the tvOS section of the keynote at the WWDC 2016 event, Apple announced that the Apple TV was about to benefit from the release of a Sling TV app. Sling has now confirmed that by announcing that the app is now available to download from the tvOS App Store right now. 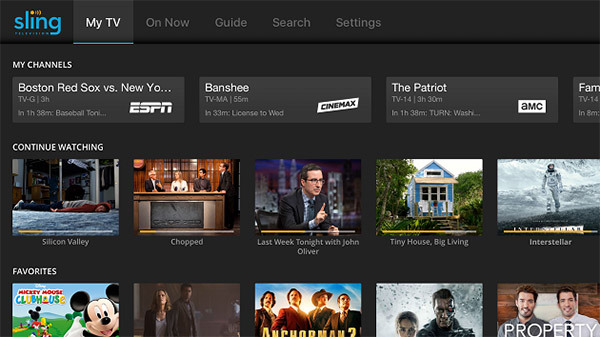 The rollout of the Sling TV app on the tvOS App Store not only advances the fourth-generation Apple TV as a platform, but it also introduces a new multichannel live TV experience to those consumers who actually count on the set-top-box as part of their main living room entertainment. As part of that release, Sling has promised to deliver a “live, linear and on-demand multichannel pay-TV service all within a single app”. In short, download Sling TV, sign up, and access live content from FX, TNT, HBO, and many, many more. The company is also offering additional access to new channels owned by Fox and Viacom to all subscribers who download the Apple TV app and sign up to its beta multi-stream service. 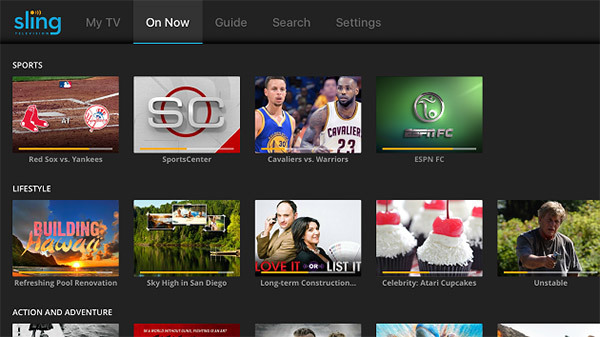 This is essentially an improved home screen, where you can find what you wish to watch with content personalized to your liking. “My Channels will preview what’s on now, and you’ll see how long until the next show airs.” Users will also have access to a Continue Watching ribbon, as well as a Favorites ribbon, and much more. 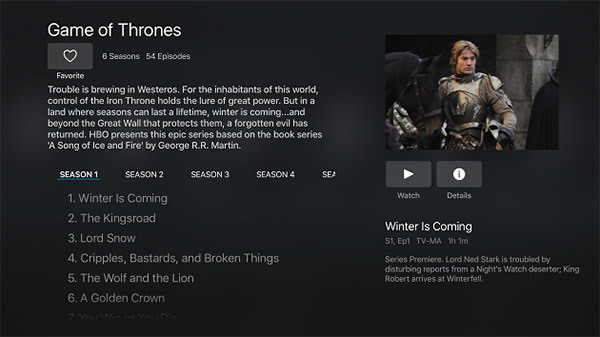 Simply swiping up using the Siri Remote on the Apple TV while in Sling TV will now launch a revamped ‘mini’ guide which not only makes it much easier to keep track of what’s next and what’s on, but does so by making room for more information to be displayed. Get a good look at what’s live right now, as the app curates content that is playing right now and categorizes them according to the genre for easy navigation. Dedicated to those serial series watchers out there. This particular feature allows you to keep track of the episodes you’ve already seen and which ones you would want to see from your favorite TV shows. And if that’s not enough of an incentive to make you purchase an Apple TV – if you don’t already own one – then there’s also a bundle discount on the table. 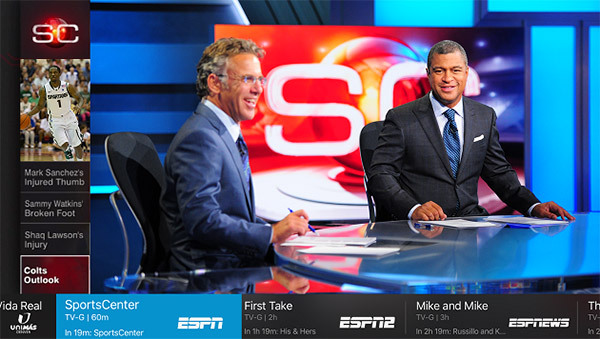 If your intention is to purchase an Apple TV, and you ultimately want to join the new Sling TV experience, then consumers will have the option to purchase a new 32GB Apple TV for $89 – reduced from $150 – when they take out a Sling TV subscription and pre-pay three months in advance at $20 per month. So essentially, Apple is offering three months free access to Sling TV for those who were going to buy an Apple TV anyway.